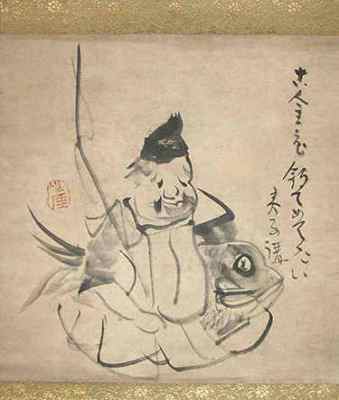 The inner-soul of Sengai Gibon (1750-1837) was always multidimensional and the flow that linked all fusions was Buddhism. 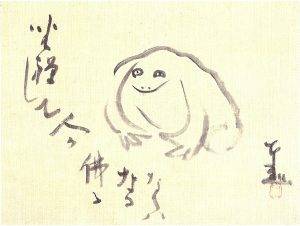 Artistic wise, we will never know the real capabilities of Sengai because his art and writings were based on simplicity, enticing the viewer, and drawing people to the bigger picture. Of course, the sophistication of the written word was based on greater clarity. In the opposite direction, his art was based on a mixture of simplicity and intrigues that questioned the real meaning. 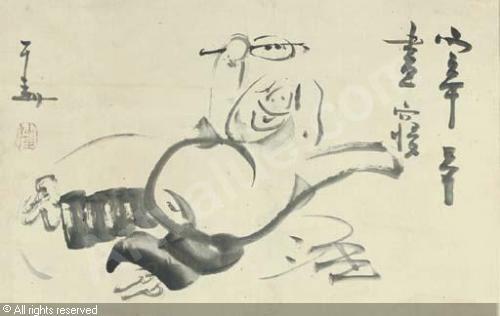 Indeed, given some of the complex aspects of Rinzai Buddhism, he took it upon himself to simplify the faith to lay people and outsiders alike. 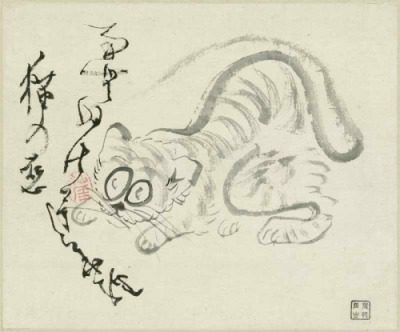 However, his attitude wasn’t always appreciated because aspects of his writings and teachings drew controversy. 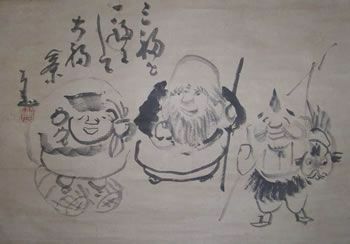 Despite this, Sengai did not desire to be constrained and likewise, the passages of time meant that his new reach out embraced the artistic world of sumi-e.
Of course, it may be that “the real meaning” was sometimes based on being meaningless – while, on other occasions, the objective was well thought even if the answer was based on each individual. Either way, it is clear that Sengai understood the need to reach out to ordinary people while igniting new ideas among individuals belonging to the upper echelons of society. Interestingly, the academic circles and art schools of the day that existed did not warrant too much importance to Sengai. 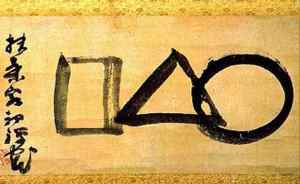 After all, the central theme for Sengai was Buddhism, the search for enlightenment, the acknowledgment of his fleeting time on this earth, to reach out to all irrespective of status, and to find all the unfathomable answers based on free will and extreme inquisitiveness. 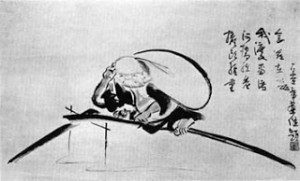 Some art and cultural articles by Modern Tokyo Times are republished to highlight the unique traits of Japanese culture to our growing readership.